This is the downloadable PDF version of Hymns of the Old Camp Ground. You can read it on your computer or other device, and also print it out. This handy little songbook has 56 of your favorite old-time gospel songs with lyrics, music (melody line), guitar chords, vintage photos, song histories, 72 pp. SONGS INCLUDE: A Beautiful Life, Ain’t Gonna Lay My Armor Down, Amazing Grace, An Old Fashioned Meeting, Angel Band, Are You Washed in the Blood?, Beautiful, Church in the Wildwood, Crying Holy Unto My Lord, Deep Settled Peace, Diamonds in the Rough, Don’t You Hear Jerusalem Moan?, Drifting Too Far From the Shore, From Jerusalem to Jericho, Give Me The Roses Now, The Good Old Way, Grave on a Green Hillside, Hand in Hand With Jesus, Heaven Above, Hold Fast to the Right, Hold to God’s Unchanging Hand, Home in That Rock, I Am a Pilgrim, I Am Bound For the Promised Land, If I Could Hear My Mother Pray Again, I’ll Be No Stranger There, I’m S-A-V-E-D, In the Sweet By And By, I’ve Just Seen the Rock of Ages, Keep on the Sunny Side of Life, The Lone Pilgrim, Methodist Pie, Old-Time Religion, Our Meeting is Over, Palms of Victory, Pass Me Not, Paul and Silas, Pilgrim of Sorrow, Poor Wayfaring Stranger, Precious Memories, Shake Hands With Mother Again, Shall We Gather at the River?, Standing in the Need of Prayer, Swing Low Sweet Chariot, Take Up Thy Cross, Twilight is Falling, The Unclouded Day, Walk in Jerusalem Just Like John, Warfare, We Are Going Down the Valley, We Shall Meet Someday, Who Will Sing For Me?, Will the Circle Be Unbroken?, Wondrous Love, Working on a Building. 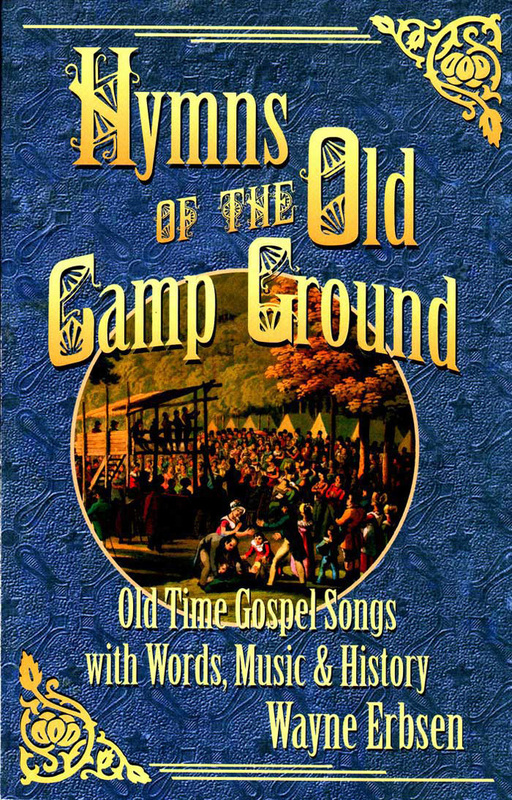 Be the first to review “Hymns of the Old Camp Ground – eBook” Click here to cancel reply.